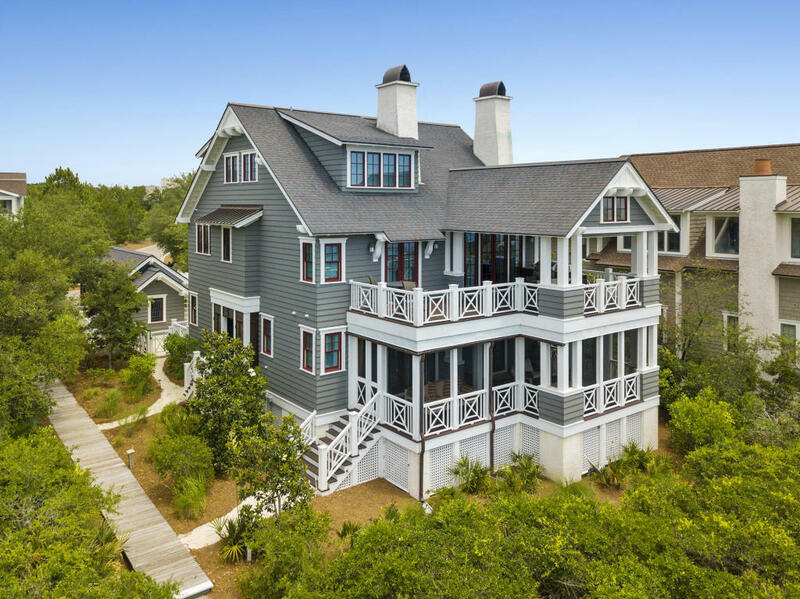 Exceptional lake front home in WaterSound Beach with gorgeous views of the Gulf of Mexico! This TS Adams designed home is thoughtfully laid out & comprised of only the finest materials. It includes 5 bedrooms, 4.5 baths & a bonus room and is being offered fully furnished & turn key. An inviting courtyard with a private pool & outdoor fireplace welcomes you into this luxury residence and leads to the 1st floor family room, 3 guest bedrooms with en suite baths and a covered rear porch with serene views of Camp Creek Lake & the gulf dunes. The 2nd floor includes the master suite, main living room, dining room & kitchen as well as another large porch that offers spectacular views of the lake & beaches! The fifth bedroom, a bonus room and a storage room complete this fine home on the 3rd floor.